MAG-11 Marines Massive Aircraft Launch - USA Patriotism! 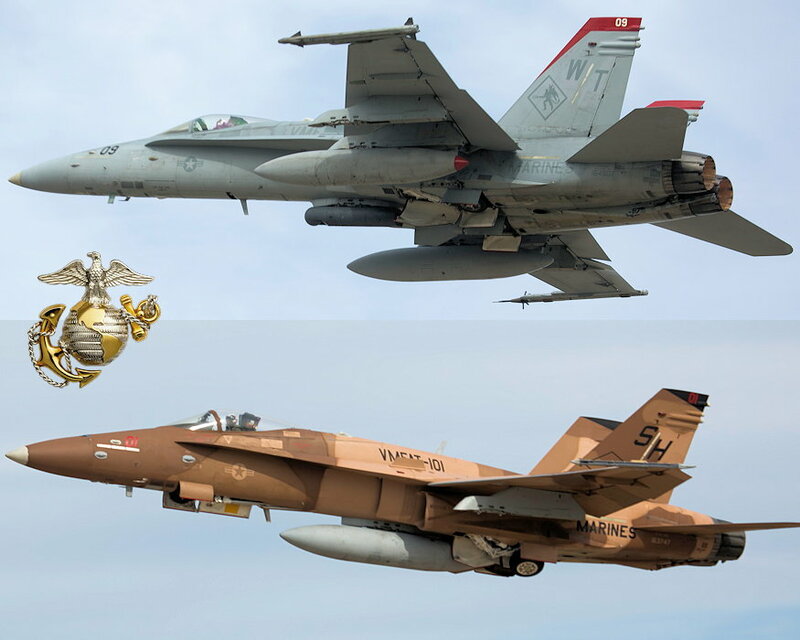 February 1, 2018 - Two F/A-18C Hornets with Marine Fighter Attack Squadron (VMFA) 232 (top) and Marine Fighter Attack Training Squadron (VMFAT) 101 (bottom) take off as part of a massive launch that included more than 30 aircraft, during the Marine Aircraft Group (MAG) 11 training exercise at Marine Corps Air Station Miramar, California. MAG-11 conducted this training to exercise their real-world capabilities. Exercises such as this provide realistic, relevant training necessary for 3rd MAW to “Fix, Fly, and Fight” as the Marine Corps’ largest aircraft wing and ensures the unit remains combat-ready, inter-operable, deployable on short notice, and lethal when called into action.